I am barely squeaking in under the deadline here. I got just a bit distracted when the sun came out this weekend and the temps were warm. I've got my entry done for Susan's contest and here it is. Let me show the before first and explain. This is one of MrPeachez many pieces of black electronics and this one resides in our bedroom. 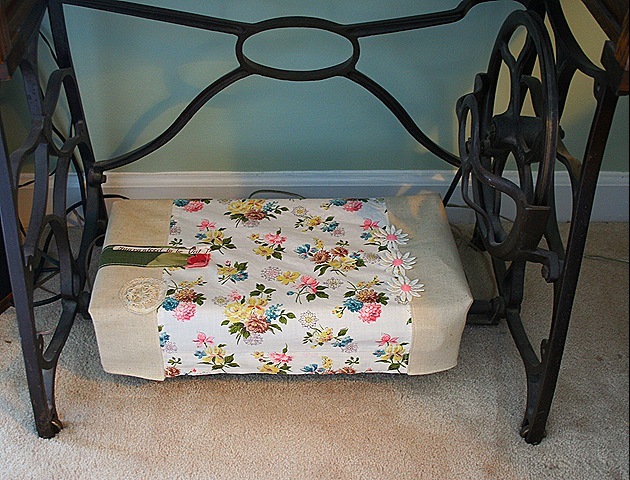 He has it placed under my antique sewing table. It's a receiver and he likes to fire it up about, oh maybe, once a year. So there it sits all the time, gathering dust. Now it has a nice and pretty cozy. I'll call it the ugly black electronics thing dust cozy. UBETDC. 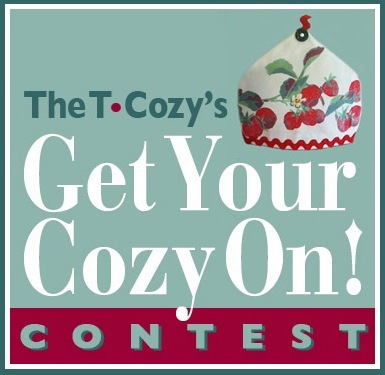 Susan asked all participants in the contest to describe something cozy in our lives. One of my favorite "cozies" is relaxing on my backyard patio with MrPeachez after a productive day of working in the garden. In fact I'm looking forward to exactly that this weekend. Thanks so much for entering my contest. That’s a fabulous UBETDC!!! What a cleaver and pretty idea. 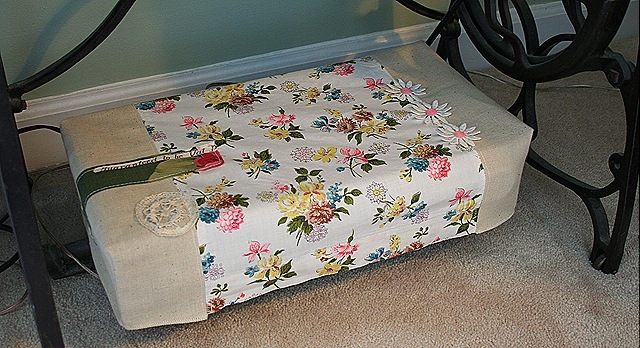 Wish I had thought of it when we had our TV and video box on my old sewing machine in our bedroom. 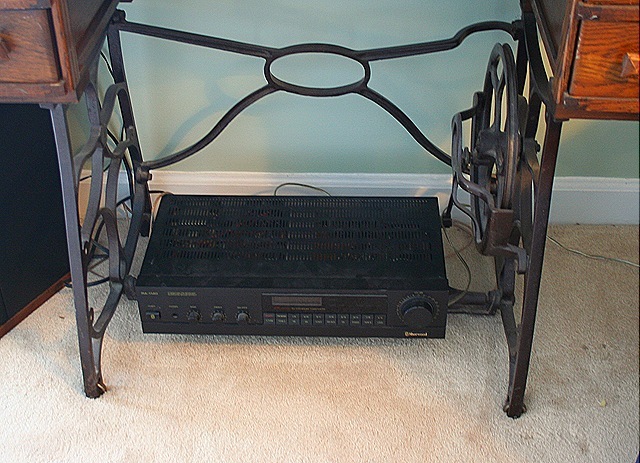 We took it out last year, in an effort to simplify our life, but this is such a great idea as dust is a constant problem with electronic equipment. I may make one for my printer. Funny! Would you like to make a cozy for the ridiculous tv in my living room? Ack! What a great and cute idea! Your garden looks like heaven on earth. Isn’t wonderful to hear the birds singing again? Happy composting!